India is the new China as far as Apple is concerned. Remember a few years ago, before Apple made a deal to supply China Mobile with the iPhone? Apple CEO Tim Cook would constantly talk up the country, even going as far as predicting that China would soon replace the U.S. as the top country for iPhone sales. That came true when Apple released its quarterly report in April 2015. With Apple reporting last month its first quarter with declining year-over-year iPhone sales, what can you make of the 56% gain in iPhone sales reported in India during the same time period? Even more amazing is the fact that the average Indian consumer makes $1500 USD a year. That explains why 70% of Indian smartphone sales were for devices priced under $150 last year. 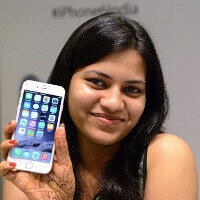 It also explains why the Apple iPhone 5s, priced at $300, is the top selling iPhone in India. According to Piper Jaffray analyst Gene Munster, there are some things Apple can do to add as many as 62 million iOS users from India. One is to get Apple's presence in the country up to the same level it has in China. When Cook met with India's Prime Minister Modi last week, the Apple executive mentioned that he would like to open Apple Stores in India. But an anonymous government official said that to meet with the administration's "Made in India" plan, 30% of the goods sold in each store must be sourced from the country. If Foxconn goes through with its plan to open a factory in India to churn out iPhones, this might not be a problem. India is one of the largest countries with a low smartphone penetration rate. Of the 1.25 billion citizens in the country, only 15% own a smartphone. In China, 58% of its 1.37 billion citizens sport a smartphone. Apple is believed to have sold 56 million iPhones in China last year compared to the 4 million it sold in India during 2015. Munster says that if Apple can raise its 3% to 5% share of the Indian smartphone market to match its share of the Chinese smartphone market (10% to 15%), it would add 10 million new users. If Apple can match its market share in China while the Indian market were to reach the same level of smartphone penetration as seen in China, the analyst says it would add 62 million new iOS users in the market. But alas, the pricing situation doesn't help Apple here. While Cook has said that he would like to lower iPhone prices in India, he also said that Apple will not give in where quality is concerned. Apple did apply to the government to sell refurbished iPhones in India, but officials say that the application was rejected because they didn't want shipments of used devices to flood its market. Apple has its work cut out for it in India, although the potential rewards are great. Apple has the highest profit margin of any smartphone on the market, but they can't drop prices for fear of quality taking a dive. According to a teardown, an iPhone 6s 16GB costs $750 retail at launch and $236 to build. They're already making more in profit than it cost to manufacture, but they can't drop pricing because it would impact quality. This is where I have a real problem with Apple. There are more costs associated with a product than just manufacturing. Marketing, importation taxes, among other things impact cost. Honestly thought, Apple doesn't really need to sell "premium" as a defining trait with their products. They are the only ones who licence IOS, so they could (and for all intensive purposes should) lower the cost of their products. Their profit margins would take a hit for a quarter or two, but the added market share would definitely make up for it long term :D.
We are aware of that, but still even if you consider those, the iPhone still has the highest profit margins, hence the ~94% total smartphone profit share. Not really. The only OEMs to my knowledge that made any profit last quarter are Samsung and Apple. That's it. Everyone else sits either barely in the black or in the red. LG had their YoY decrease by 95% after Q2 reports came in. It's a tough time to be a smartphone manufacturer. But they get free software from android. They do there R&D on UI and design, not on the OS...? There is a difference between Building a Ship and arranging furniture inside it.............. got it? No question, Apple could certainly afford to lower their prices, no disputing that. Considering how Apple has operated to this point, maximizing profits seems to be a major influence on the way they do things. That's why we see a product like the SE come out (I like it but it was sort of lazily handled design wise) and it's thoroughly frustrating. I find the way Tim Cook goes about his job to be rather lacking. He doesn't seem to understand consumer interest as well as his predecessor. He's more of a supply chain guy, while Steve Jobs was a pitchman. Price has always been, and always will be a talking point with consumer electronics. It shouldn't have taken him this long to acknowledge this, especially in a place like India which is ripe with eager electronics enthusiasts. Cook was more of a "shareholders are everything" guy, which is one of the main reasons why I really don't like him, specially when compared to Jobs. Also VZWuser76 got it wrong. The cost of $236 was for the iPhone 6s + with 16gb. Also that includes all the packaging and handling costs as well. So the iPhone 6s is less. Kiko007 Apple doesn't license iOS since its their OS to begin with, and not was based originally on freebsd. Even if Apple wasn't around. There would still be stiff competition in the Android camp because there is tons of OEMs making Android devices. In India there is 5 homegrown smart phone manufacturers all producing Android devices at low costs. So if Apple wants to compete there. Then Apple will have to worry about stepping on Indian manufacturers toes. NoToFanboys Apples profit is excessive and everyone knows this, especially when you see Android OEMs releasing devices with better specs for less than half of what Apple charges for an iPhone 6s. I can buy a device with a better camera, LTE, more ram, storage, 1920x1080 display, bigger longer lasting battery, all the sensors, and more for a retail price of $250 USD. So that OEM is selling that device for $250, and still able to make a profit. 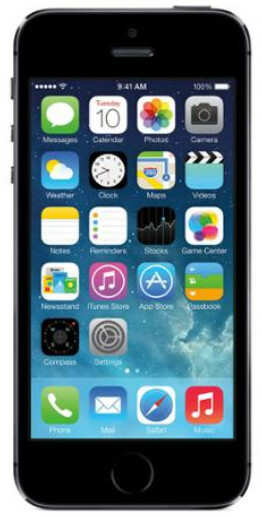 Apples iPhone has less of a display, less of a camera, less battery, for $650 USD. No wonder why Apple has 94% of the profits. your reply was interesting to read, but when i saw " android OEMs releasing devices with better Specs" i understood that you are quite igonrant of tech. Most iOS users use iphone for experience it, not for the specs.... iphone 6s with 2GB ram will compete with any phone on market, iOS interefcae and smoothness is unmatchable. You complain about everhing less, just take the sony phones as example, having a great camera sensor dosent meant that the cam is great, there should be a proper software to use it to the full potentional. Where apple excels leaps and bounds. And every other smartphone manufacturer has those extra costs as well. Yet many sell for less than Apple does. My point was, Apple can sell for less without a loss in quality. What they can't do is sell for less without a loss in profit margin, and that's what Apple won't do. Even with the iPhone SE, they made sure that certain aspects of it were inferior (older FPS , less RAM, etc). It likes they want you to associate value with low end. Apple has shown time and again, they will not sacrifice profit margin. They never drop the price they sell it to the resellers for. Whenever you see a sale on an iPhone, Apple has already gotten their money for those products, and they didn't take any loss on them. It's the reseller that does. You could say the same for other OEMS, but the difference is Apple doesn't lower the prices on their devices until a years time. Many others do it earlier, which means they share in the loss themselves. Apple OTOH puts any losses on those who sell their products. Finger scanner, not frames per second. The giveaway should've been I said older FPS, not lower. Dropping price does not impact quality. That is simply a lie. Every Android phone maker makes cheap costing phones, yet they dont even rank on any chart as being garbage or having high failure rates. The Galaxy S6 ranked highest among Samsung's own products with a 7% failure rate. Yet none of the cheap phones they make even made the list. If Apple wants to make any headway in India, they will need to make a phone they can sell for less than $200. You think they can't make an iPhone for $115 in parts? You think Apple can't make a viable non-expensive product?! Or is the fact is they don't want too?! It can but it won't lol. At least now for the next 5-10 years. Price. Apple's definition of "cheap" is too expensive and a ripoff. I don't have any hope of them making "real" cheap and worthy phone anytime soon. The iPad "bricking" fiasco was an anomaly. Had it been as terrible as the IOS 8.0.1 update, I'd agree with you. I don't think it's necessarily about quality anymore for most of us Apple users. And no, it isn't about brand either. It's the support in combination with our time in the ecosystem. My entire family uses iPhones, I've purchased tons of apps in the App Store, iMessage and FaceTime equivalents aren't present on Android,and exclusive apps I need only exist on IOS. Lastly, Apple's support is second to none. You having trouble with your product, take it to an Apple store. Having trouble with your S7, wait for support to respond and MAYBE (emphasis on maybe) they'll send you a replacement before next month lol. What do you mean by quality ? If you are talking about the hardware then there are devices with display, better speakers etc etc. If you are talking about other stuff like Apple pay, etc etc...then you should know that many of their inbuilt apps and services don't work as good outside the US. If they want to succeed in countries like India, their services should be as good as they are in the US and the prices should be as low as they are in the US. That's what Tim Cook said he is planning to do in India in the coming years. Indian actually has 5 manufacturers building Smartphones. So Apple has to compete with them, as well as Samsung and the regular crowd. Indian already gives special treatment to their homegrown OEMs. So Apple has to deal with the homegrowns and the Indian government. Yes, in my country the you will find a lot of Idiots. Every country has its share of dumb & smart people. Apple is simply considered an flaunting device here in India, its appeal is to those who think Apple invented everything. How can you judge someone's intelligence just because they bought a apple product ? Maybe they like iOS's ease of use and apple's awesome after sales service . Or they would like to see their devices getting updated for 5 years . We couldn't judge someone's intelligence who're using an iPhone, but we can sometimes judge their personalities. For example: When you see some teenagers in poor country using expensive phones(referring to iphone in this example) have "My parents are wealthy and I am spoiled" written all over their face. They could have worked hard during the holidays to get it , you will never know . You've probably have no idea what's a poor country. They make $1500 a year bro. How much they can get from holiday work? This is not US. They would like to play games or use apps that are exclusive to iOS ? Or they just live in the wonderful apple eco system . Where i could type a email halfway on my phone and i could continue on my iPad or my macbook pro retina . Answer calls and reply sms with my laptop while my phone is downstairs charging . Not to mention that i can close individual tabs of safari on my laptop while i'm outside on my phone .